Mothers rank highest among child abusers. 765 reported cases of children being abused. This represents an average of about 13 cases being reported on a daily basis. It also signals an increase in numbers, since figures for the corresponding period last year show 678 reports of child abuse. Of the 765 reported cases, the headcount of the children who were actually abused stood at 708. Girls continue to be the main victims in cases of abuse. There were 428 reports of girls being abused between January and February. Fifty-six of them were physically abused. The disturbing figures show that 136 girls below the age of 18 were sexually abused. About 208 of them were neglected. Four of them were completely abandoned, while 22 were verbally abused. Two of these girls were made victims by way of witnessing many of these abuses being committed on others. The ages of these victims are also quite disturbing. Even toddlers weren’t spared. Statistics provided by the Childcare and Protection Agency (CPA) shows that 74 of these girls were abused even before they were three years old. Eighty-one of them were between the ages of four and seven. The numbers peaked among adolescent victims, with figures showing 140 of the abused girls being ages eight, through 13. The number of boys who were abused over the past two months is lower than the figures recorded for girls, but no less disturbing. It would appear as though most of these boys were abused while they were younger. A total of 337 boys were victims of some form of abuse. Disturbing to note, 85 of them were abused during the tender age of zero to three-years-old. The figures show that 73 of these boys were only four to seven years old when they were abused. As with girls, the number of abuse cases was higher among adolescents, with 130 boys being abused while they were between the ages of eight and 13. Forty-nine of the victims were 14 to 18-years-old. As it relates to the types of abuse, majority of these boys were neglected; 219 of them to be exact. Eighty-one of them account for boys who were physically abused. Seventeen of them were sexually molested, while two were abandoned. The report shows that 15 of the 337 abused boys were verbally abused, whereas three of them were witnesses to others being abused. 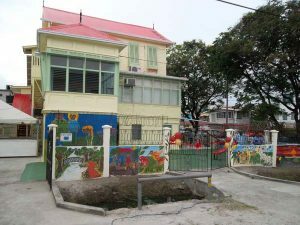 Out of the overall 765 reported cases of child abuse, 58 required the intervention of the Guyana Police Force. However, only nine of these cases were passed through the court system. It was highlighted that 426 of the abused children received counselling. Twenty-nine of them were removed from their abusive living environments and placed in alternative care. 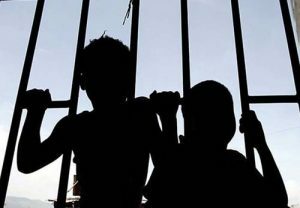 To give a further breakdown, 20 of them were placed in children homes across the country, while about 10 were sent to live with relatives. A few teachers stepped in and took over guardianship of five children. Mothers are the leading perpetrators in the abuse of children. Between January and February of this year, 337 mothers were accused of abusing their children, followed by 162 fathers accused of doing the same. Step-parents are also perpetrators. CPA figures show 44 step-parents being accused of child abuse, followed by 19 grandparents. Seven of the abuse cases were perpetrated by siblings. The other categories of perpetrators include other relatives and guardians. Fifty-five cases of abuse were committed by persons unknown to the child. “This violence against children, our children, cannot be allowed to continue, because of the devastating effect it has on the lives of children, and on society,” says Ann Greene, Director of the Childcare and Protection Agency (CPA). She was at the time speaking at a recent Prayer and Breakfast forum organized by the Rights of the Child Commission. Greene, who has been heading the state’s efforts in protecting children, has often clarified that an increase in the number of reports of child abuse, does not necessarily mean an increase in the number of children being abused. “Many times it just means that more people are aware of what constitutes child abuse, and are more active in reporting some of the atrocities committed against children,” Greene explained.